Booker did not mention anyone by name during the "Hardball" interview with host Chris Matthews. But he suggested that it was inappropriate for lawmakers to make light of the issue when some people face legal repercussions for similar actions. 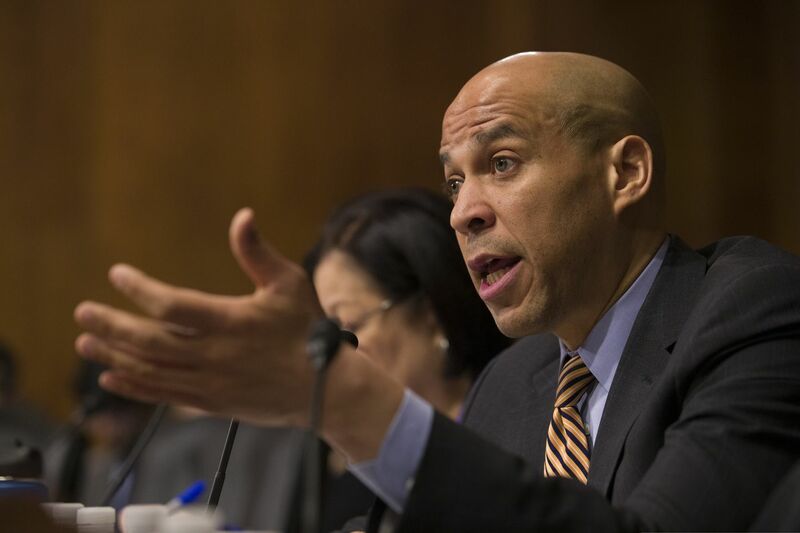 "We have presidential candidates — senators — bragging about their pot use while there are kids who can't get a job because they have a nonviolent offense," Booker said. Sen. Bernie Sanders (I., Vt.) another 2020 candidate, has also recently spoken about having used marijuana, although his comments were not as widely reported as Harris'. “Didn’t do a whole lot for me. My recollection is I nearly coughed my brains out, so it’s not my cup of tea,” Sanders said in an interview this month with the same radio program, The Breakfast Club. Representatives of the Booker, Harris, and Sanders campaigns did not immediately respond to requests for comment Monday night. Booker's remarks in the MSNBC interview came a day after he made a similar statement during a campaign event in Davenport, Iowa. "We have presidential candidates and congresspeople and senators that now talk about their marijuana use almost as if it's funny," he said. "But meanwhile, in 2017, we had more arrests for marijuana possession in this country than all the violent crime arrests combined." He told the crowd that he is "all for legalizing marijuana," but that it needs to be part of a broader policy shift on the issue.